With carbon-neutral biomass facilities among the earliest assets in ENGIE’s North America portfolio, the region’s roots are as a sustainable generation fleet. Now three decades later, nearly 90 percent of the plants’ capacity produces no carbon emissions or very few. ENGIE is among the largest wind power developers in Canada and among the largest biomass operators in the United States. 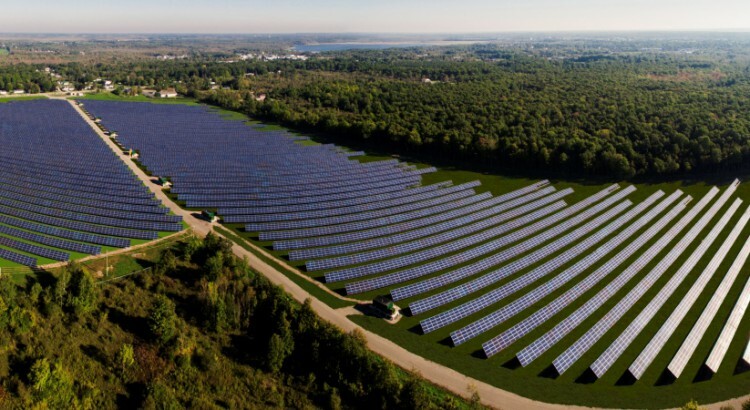 In Canada, the company provides power from 660 megawatts (MW) of wind generation and another 20 MW of electricity gleaned from the sun in Ontario, Prince Edward Island, New Brunswick and British Columbia. Since completing its first two wind farms in 2007, ENGIE has brought 10 more green facilities online. Throughout its carbon-free portfolio expansion, ENGIE’s development, construction, environmental, regulatory and community support professionals have made it a priority to collaborate with land owners—as well as adjacent neighbors and stakeholders. The company commits to employing as many locals as possible during construction as well as at the permanent facility. Read more about the company’s experience in Canada. The company also operates biomass and biogas plants in New England, Michigan, and Colorado. Offers digital analytics software to signal the opportunity for energy savings programs and products.